MANILA, Philippines – Standing up to a bully. This was what the Gilas Pilipinas players were doing when they engaged Australia in a wild brawl that marred their FIBA World Cup Asian Qualifier last Monday night at the Philippine Arena in Bocaue, Bulacan, an incident that has thrust Philippine basketball into global spotlight. In an appearance on "SportsCenter", Gilas Pilipinas head coach Chot Reyes made it clear that the Filipino players were reacting to undue provocation from the visiting Boomers, while also defending their teammate in the melee that occurred with four minutes to go in the third period. Australia was already running away with the contest, and the Boomers would go on to win by default, 89-53, after the Philippines was left with just three players in the wake of the brawl. Two of those – June Mar Fajardo and Gabe Norwood – soon fouled out, leaving Baser Amer as the last man standing. “As the head coach ultimately, I take accountability, and I'm responsible for the actions of the team both on the court and off the court,” Reyes said Tuesday evening. What, exactly, did happen that caused the Gilas players to react with such ferocity? It was shocking to see the Philippine team go after their Australian opponents, with even the mild-mannered Jayson Castro quite literally launching himself off the floor for a punch. To hear Filipino basketball officials tell it, the “cheap shot” that Australia’s Daniel Kickert landed on Gilas guard Roger Pogoy was not so much the trigger but the final straw. The atmosphere surrounding the game was already tense, thanks to an incident that occurred during Australia’s practice at the Philippine Arena on Sunday. Members of their delegation were seen removing the stickers of PLDT and Chooks-to-Go from the hardcourt, a move that damaged the floor. Samahang Basketbol ng Pilipinas (SBP) chairman emeritus Manny V. Pangilinan and Chooks-to-Go President Ronald Mascariñas both criticized the Australians for what they did, noting that the decals had already been approved by FIBA. “There are protocols that can be followed if they have an issue, they could have told the local organizing committee or even FIBA, that they have concerns and they want it checked or investigated. That's the proper way of doing it, instead of as you can see, the guys on the team started ripping off the decals on the floor,” SBP President Al Panlilio said on Sports Center. Basketball Australia relayed its apologies, and Panlilio said that they accepted the apology – despite feeling quite disrespected. “But we accept it and we move forward, and we're looking for a very competitive game the next time,” he added. Tensions continued to escalate during the pre-game warm-ups, when players from both sides were seen shoving at each other. According to Reyes, Australia’s Kickert was pushing Gilas players who crossed over to the Boomers’ side of the court, with Matthew Wright, Roger Pogoy, and Carl Bryan Cruz already getting shoved by the visitor. “So that was already the start, and that's when I told them, forget it, we restrained the players, kalimutan niyo na 'yun, keep your mind focused on the game, don't even think about it,” said Reyes. Australia, for its part, has already refuted Reyes’ version of events regarding the heated warm-up. 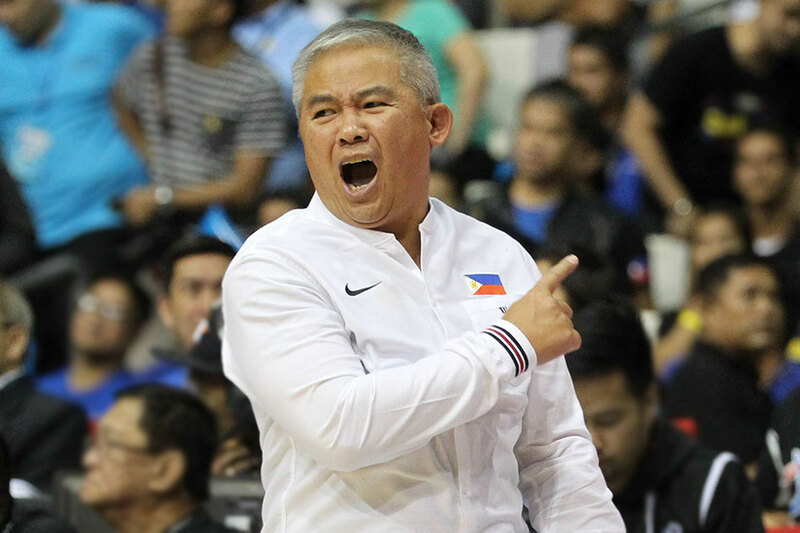 As much as the Gilas coaching staff tried to calm down the team, it proved difficult with how Australia kept provoking the Filipinos, according to Reyes. He pointed to several cheap shots dished out by the Boomers, who were also repeatedly taunting and trash-talking the Gilas players. “Everything that's happening, even the trash-talking, that's basketball. Those grown men, they do that. I'm completely okay with those things. Those things happen,” he added. Even Pogoy’s hard foul on Chris Goulding was “part of basketball,” said Reyes. What was not a basketball play, however, was Kickert’s cheap shot that floored Pogoy and caused him to hit the deck. “When Kickert comes in, during a deadball, that's no longer basketball. That now is bullying,” Reyes declared. Once Pogoy was floored, all bets were off for Gilas. As far as they were concerned, it was time to stand up to an Australian team that had crossed a line from taunting to bullying. “But there's a line between gloating, taunting, and bullying. I thought then, when Kickert got that cheap shot on Pogoy during a deadball, that was bullying,” he added. A fan – since identified as Peter Aguilar, Japeth's father – threw a chair at an Australian player. Jio Jalalon - who was not part of the 12-man team that night - was photographed landing a hook on a Boomer. The entire melee took just over a minute, but officials would review the incident for nearly half an hour. When the dust settled, nine Filipinos were ejected, and four Australians. Only Gabe Norwood, June Mar Fajardo, and Baser Amer – who stood quietly at the sidelines while the entire fracas occurred – were left to play for Gilas. The game itself would end soon after, and both teams made quick exits to their respective dugouts. “No coach wants to see this happen. Very unfortunate,” said Reyes. And yet, Reyes understands why his players reacted the way they did. Castro is a veteran of international basketball and is possibly the last person one would expect will react in such a violent manner - but resort to violence he did. “There was a trigger, there was a trigger for Jayson,” said Panlilio. “He said it in the locker room. 'Nagti-timpi na ako starting from the round robin.' But up to when can you stop yourself from reacting to such provokation? I think that was what Jayson wanted to say,” he added. Reyes, for his part, said that this situation was different – so heated that even a player of Castro’s mannerism would be provoked into taking action. “When you're down and you're playing hard, and you're not getting the calls, and they're starting to bully you, and then nakita mo na sinaktan 'yung kasama mo’,” said Reyes. At the end of the day, Reyes says that not only were the Gilas players standing up to bullies; they were also rushing to the defense of their brother who had been targeted by cheap shots and taunts all game long. The incident between Pogoy and Goulding in the third quarter was not the first; they had been at each other’s throats several times already throughout the game. When he was elbowed by Kickert, it was the last straw. “When you see your brother getting hit, it's very hard not to go and defend him, and it was not the first time,” said Reyes. Reyes would reveal that Pogoy expressed his gratitude to his teammates in their private Viber group, in a message that underscored the bond of the team. 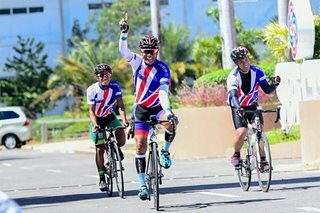 “Very simply, Roger Pogoy said, 'Salamat mga brother, 'di niyo ako iniwan.' I think in the end, that's the best statement,” said Reyes.